These kits simulate the "logic displays" for your astromech, along with the PSI "eye" lights that cycle between blue/red and yellow/green colors. 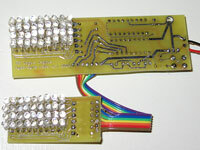 The front logic display board includes 72 white and blue 3mm LEDs that fade in and out to emulate a fiberoptic look. 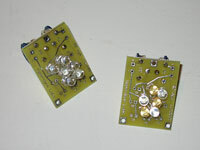 The front logic board also has an additional header to drive the PSI eye lights (four separate colors). 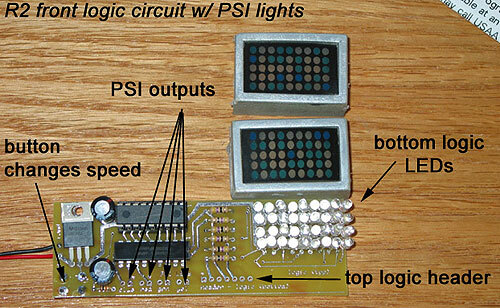 To complete the PSI eye circuit, all you need is a handful of resistors and your own LEDs. 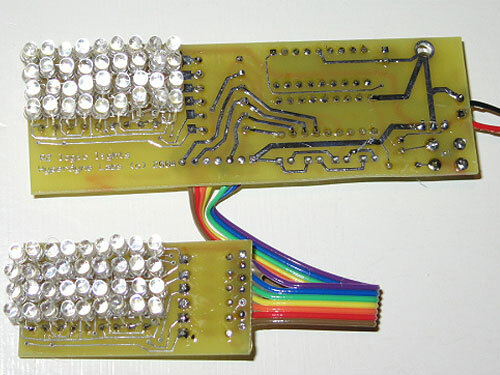 Or we also offer separate assembled PSI light boards with the proper colored LEDs and brightness control pots that you can wire up to your front logic display board. The back logic board includes 96 high-intensity white 3mm LEDs that also fade in and out to emulate the astromech back logic display. 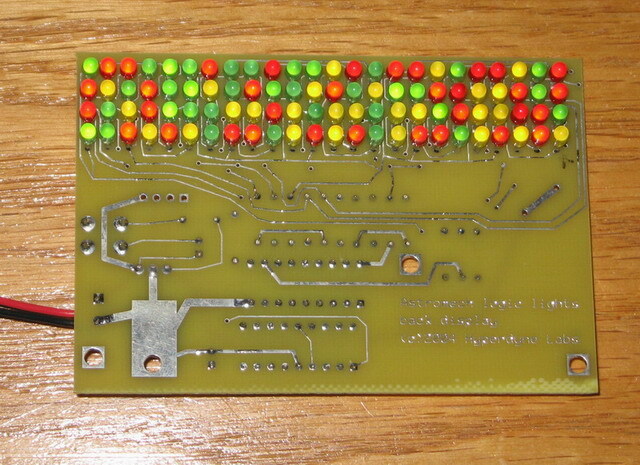 You can color the LED lenses or use a colored backing gel to replicate any color pattern you wish.